Answer: Man thinks that if he believes in the Lord for half his life, works hard for the Lord, and vigilantly awaits His second coming, when the Lord comes again He will give revelation to them. This is man’s conception and imagination and is not in keeping with the fact of God’s work. The Jewish Pharisees compassed land and sea spreading the way of God. Did the Lord Jesus ever give them any revelation when He came? As for the disciples that followed the Lord Jesus, which among them followed the Lord Jesus because they had been given revelation? Not one of them! You might argue that Peter received God’s revelation and recognized that the Lord Jesus is Christ, the Son of God, but that was after Peter had been following the Lord Jesus for some time and had heard Him preach for some time and had some knowledge of Him in his heart. Only then did he receive a revelation from the Holy Spirit and was able to recognize the Lord Jesus’ true identity. Certainly Peter did not receive any revelations prior to following the Lord Jesus, this is fact. Those that followed the Lord Jesus were only able to recognize that the Lord Jesus was the coming Messiah after hearing Him preach for some time. They didn’t follow Him because they had received a revelation in advance that allowed them to recognize who the Lord Jesus was. 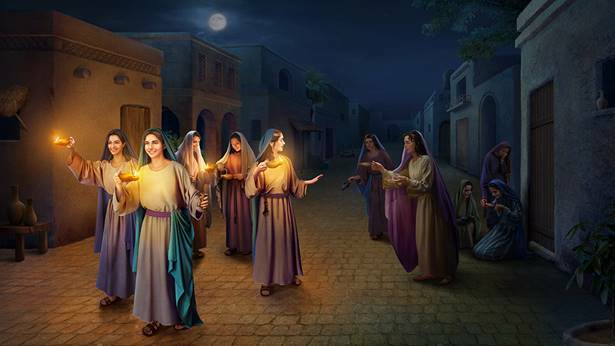 In the last days, Almighty God has descended secretly among man to do the work of judgment. Millions of people have accepted and followed Almighty God, but not one of them does so because they received a revelation from the Holy Spirit. We follow Almighty God because we recognized God’s voice in our reading of Almighty God’s word and communing on the truth. 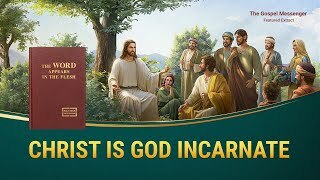 These facts prove that when God is incarnated to do His work, He certainly does not give revelations to any man to believe in and follow Him. Not to mention, in the last days God expresses truth to do the work of judgment. God’s utterance of His word to the whole universe is His work of the last days. All can hear God’s voice. God’s speech in the last days represents the first time since God’s creation of the world that God has proclaimed His word to all of humanity and to the entire universe. In Revelation, God said many times “He that has an ear, let him hear what the Spirit said to the churches.” In the last days, God works through utterance of His word and expression of the truth to find His sheep. God’s sheep can hear God’s voice. All those that hear and understand God’s voice are God’s sheep, are the wise virgins. Those that do not understand God’s voice must be the foolish virgins. In this all men are distinguished each unto his own kind. This shows how wise and righteous God is! God has expressed so much of His word, so much of His voice. If we still can’t hear and recognize Him, then are we not just foolish virgins? From every denomination, there’re some believers who have heard the voice of God and returned to Him. Are these not just the “stolen” treasure? The Lord has descended in secret to reclaim these treasures, to make a group of overcomers before the disasters out of those who have first been raptured before God’s throne. As for those that wait passively for God’s revelation but fail to recognize God’s voice in the words He expresses, it can only be said that they do not love the truth, do not know God, and are surely not God’s sheep. Naturally, these are the people that are cast off and eliminated by God. Just as the Lord Jesus said to Thomas: “because you have seen me, you have believed: blessed are they that have not seen, and yet have believed” (Jhn 20:29). The Lord Jesus said early on: “My sheep hear my voice, and I know them, and they follow me” (Jhn 10:27). “Behold, I stand at the door, and knock: if any man hear my voice, and open the door, I will come in to him, and will sup with him, and he with me” (Rev 3:20). God’s wisdom is apparent here. If God gave revelations to man so that they would believe in Him, then why would God still say that God’s sheep hear His voice? Aren’t they contradictory? God determines whether people are of God based upon whether they can recognize God’s voice. This is God’s fairness and righteousness. As you see, those that did not receive God’s revelation and yet still recognized God’s voice and directly accepted Almighty God are the truly blessed. So, in studying the true way, receiving God’s revelation is not important, the key is whether or not you recognize the voice of God in Almighty God’s words. Only those who realize that God’s word is all truth and accept God, are true believers, lovers of truth and those that thirst for God’s appearance. If man just waits to receive God’s revelation only, then it’s hard to say if this person is a real lover of the truth and one who knows God’s voice. So those that have accepted that the Lord’s coming have done so by listening for the Lord’s voice and recognizing that His word is truth. And that’s why they accept and obey the Lord’s reappearance and work. Only such people are truly raptured before God. If someone just waits for God’s revelation, but neglects to study the words the Holy Spirit speaks to all churches, then such a person has been eliminated and cast off by God’s work, and will be among those that wail and gnash their teeth when caught up in the cataclysms. Previous：Having read Almighty God’s words, I feel that they are predominantly the voice of God, and God is talking. But it seems that some words are like the words of man. How could this be? Next：All of the apostles’ letters in the Bible were things that God had inspired, but I’m not clear on whether or not they really are His words. How would you explain this? And outside of the Bible, through the ages there have been many people who have been utilized by God as well as many spiritual people who have written books. In man’s eyes the things that they’ve said have all been in line with the truth and are edifying for mankind, so what really is the difference between these things they’ve said that are in line with the truth, and the words of God?